Eun-Hye and Chris – Page 2 – Married. Methodist. Ministers. I just got off the phone with a GoDaddy representative and a supervisor. The CSR stuck to policy. The supervisor was down right rude and argumentative. For a detailed explanation of GoDaddy’s bogus policy see this blog post. I tried to transfer our church’s domain to Dreamhost, which is an excellent company, by the way. I updated the Whois info earlier this month, and by doing so I apparently agreed to lock the domain from transfer for 60 days, which is the bogus GoDaddy policy. I understand and even appreciate, to some extent, the policy to help prevent domain hijacking, but what this boils down to is GoDaddy’s denial of customer rights to change their mind. This is tantamount to changing your car registration info, and then the state tells you can’t sell your car for 60 days after the change. No one would stand for that. Therefore, I will be eliminating all of my business with GoDaddy and further recommend to everyone to not do business with GoDaddy. I saw this earlier today on CNBC. Interesting tidbit after last night’s 60 Minutes story on companies domiciling overseas for tax reasons, like Transocean in Switzerland. Companies in the S&P 500 paid about 20% versus the statutory rate of 35%. About 1/3 of the 500 companies paid higher than the 35%. Guess who those companies are? Some of the highest tax payers? Exxon Mobil and ConocoPhillips both paid more than 40% in taxes. So much for all those allegedly ridiculous tax breaks the oil companies get. Whirlpool hasn’t paid taxes in three years. AT&T paid nothing. GE paid nothing. Look at the chart based on CBO numbers for 2008. Only 12% of federal tax revenue came from corporate taxes. I recently heard on NPR the number for 2010 was 8%, if I remember correctly, in the wake of the Great Recession. Two seconds looking at that chart will reveal to anyone with common sense what we need to do to solve our budgetary issues. Forget tinkering with corporate taxation. Set it at 20%, eliminate loopholes, and forget about it. We need to increase the wages of common folk, which will increase the payroll tax piece of the pie and thus get us on the road to keeping Medicare and Social Security solvent, and we need to redistribute the income tax burden to be more fair based on wealth. Ignoring deductions, etc. it’s ridiculous that a single person making $106,800 a year pays 22% versus a single person making 200% MORE at $320,400 a year pays only 6% more at 28%. Now let’s throw in the payroll tax that gets capped at $106,800. Forgetting the 2% reduction in 2011, the $107k employee pays an additional 6.2% in FICA, thus the $107k employee pays 28% to the federal government. How about the $320k employee? That person pays the same FICA, of course, and thus in total only pays 2% more at 30% to the federal government. The first person has about $77k to live on and the other person has $224k to live on. I haven’t even touched the subject of taxation on the ultra-wealthy who “live off of” dividends and long-term capital gains. What about retirees, you ask, and dividends, etc.? Simple, exempt below a comfortable level such as $52k (median household income level). If someone is making hundreds of thousands of dollars or millions a year by selling off portions of a huge estate, it’s totally ridiculous they only pay 15% capital gains. 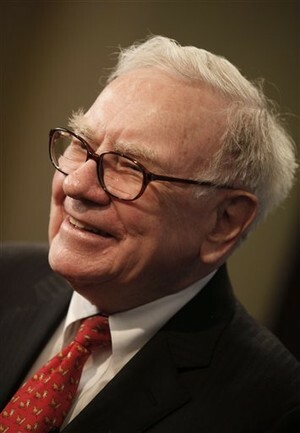 Warren Buffett has repeatedly pointed this out, that his secretary pays a higher tax rate than he does for this reason. If you don’t like the idea to go through the Adobe Download Manger to download Adobe Reader X (10), then you want the offline standalone Installer which lets you download the latest Adobe Reader version right away on your computer without downloading other junk first! In this tutorial I am going to show you how to get the direct links to download Adobe Reader X Standalone and how to always be updated with the latest Adobe Reader version by gaining access to Adobe FTP page which contains all its PDF Readers products! Here are all the Adobe PDF Reader version directly available for free download. If you wish to always stay updated and never miss the latest Adobe Reader version, here is a little trick for you. As soon as Adobe releases the latest PDF reader it will put it online right away on its public (bu rather unknown) FTP server. Here you will be able to find all PDF Reader version for any kind of OS including UNIX, LINUX etc. Ever install a DNN module and then your whole site goes down? If after you install a DNN module and then get a .NET error like “Required permissions cannot be acquired” (turn “Off” customErrors in your web.config file to see full error), then you can manually delete the module files you uploaded (in the “DesktopModule” and “Bin” folders) to get your DNN site back up. Once your site is working again, login and uninstall the module in the “Host / Module Definitions” interface.